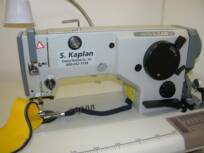 Extra heavy duty, single needle, zig zag machine with extra large bobbin and reverse. For sails, tents, taps, rope, etc. 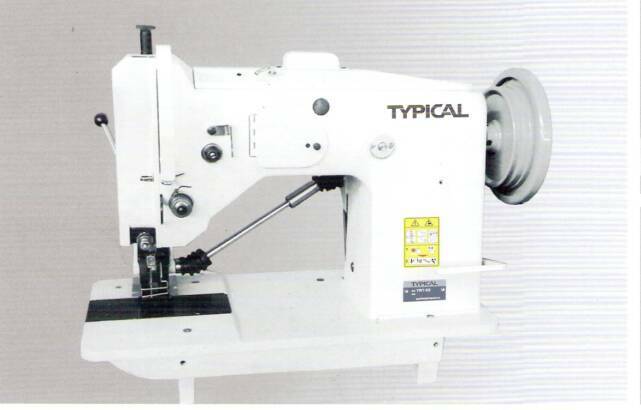 System 214X1 needle accommodates up to four cord thread. Available in 2 step (three point) and 3 step (four point) stitch. Optional built in synchronized puller. Large bobbin single needle, walking foot zig zag with reverse. For sails, awnings, etc. Available in 2 step (three point) and 3 step (four point) stitch. Extra heavy duty, long arm (28") zig-zag machines for heavy weight materials. Equipped with a large oscillating shuttle hook for use of very heavy threads. Presser foot lift of 14mm, maximum zig-zag width of 12mm. 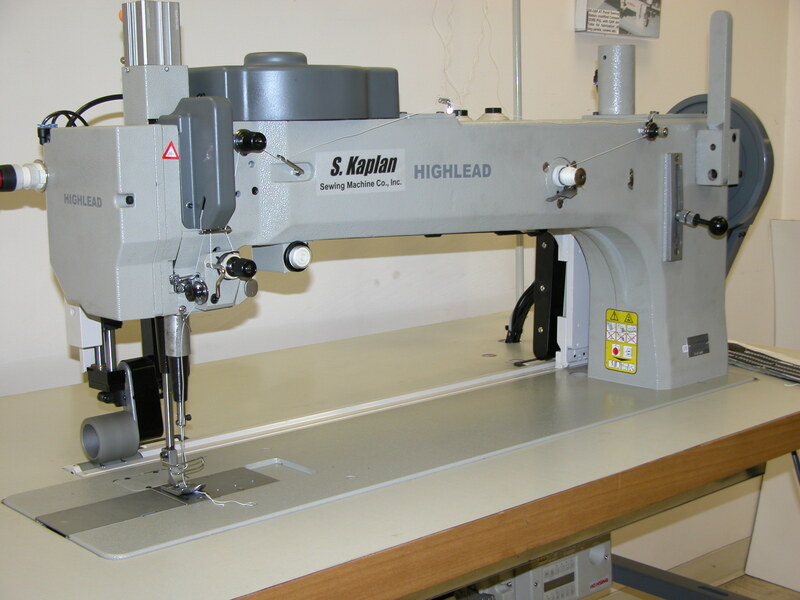 The machine is equipped with cams for both regular and 3 step zig-zag stitching. It also has built in puller. Perfect for sail makers, and other technical sewing zig-zag applications.